Pulling your 6.5 (or 6.2) mechanically injected diesel is really straightforward stuff. Especially if you have your radiator support and inner fender removed. With those two things done, now we're ready to rip and tear! Whether you're just refreshing the rings, putting in new head gaskets, or doing a full-blown rebuild, you'll need that engine on the stand in front of you. With just an engine stand and simple hand tools, you'll be ready to tackle any work you need on your monster. 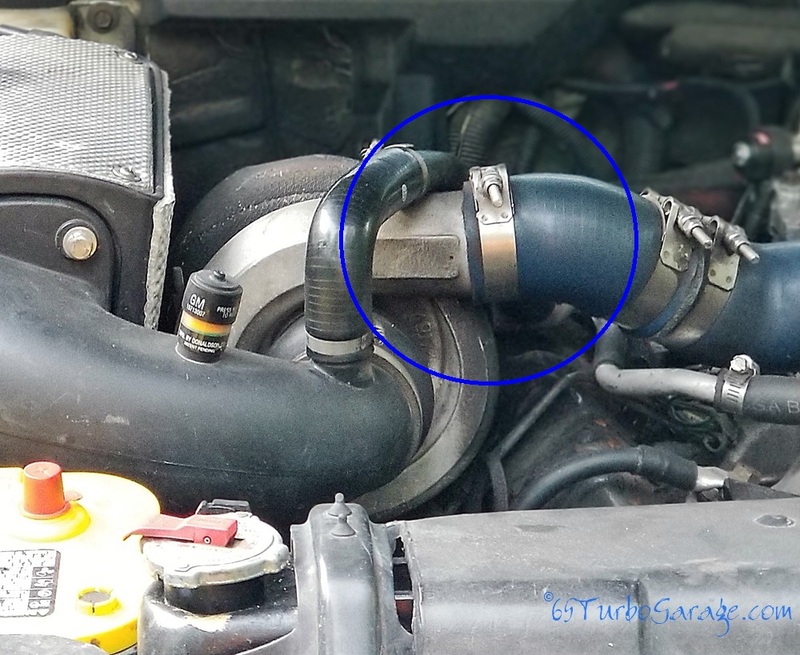 Since all vehicles are different, I won't be able to cover this part in great detail for your specific vehicle of course, but I'll try to cover as much as I can on the '93 I'm working on and these steps will help guide you on your rig. First we want to take advantage of all that work we did in taking off that inner fender. Disconnect knuckle joint on Diamond Eye exhaust. 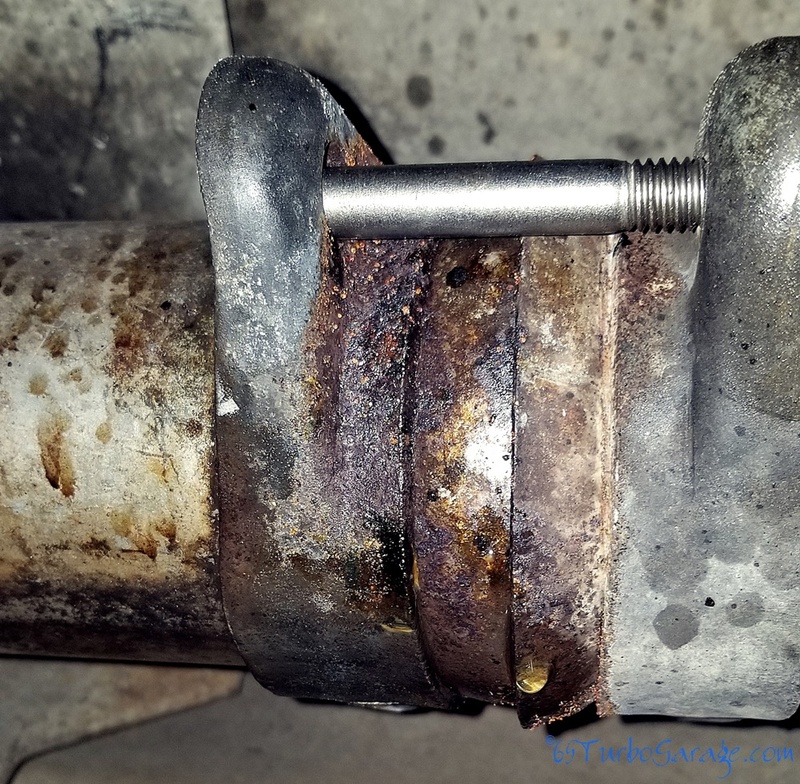 No, you shouldn't have coolant dripping out of your exhaust! Take plenty of pictures! There is no substitute for being able to see exactly how it was all together before you got your grubby little booger pickers on everything to get it all back together right. Now everything should be disconnected from the engine so we can start to remove the bellhousing bolts. Using a 13mm wrench (a pivoting head gear wrench works great here) or socket, remove the nuts on any bellhousing studs that are holding any clamps and with a 14mm wrench, pull the studs free from the engine. Great! Now all we should have left is the two front motor mounts so wheel your engine hoist into position and hook it up. Now bolt her up to the engine stand, bandage up any bloody knuckles, and go get a beer cause now the real fun starts!